This past week, we had an enjoyable session with Professor Mikinari Higano on active learning. You might surmise from the title of this post that his class focused on questions. Professor Higano is the founder and director of the Business Leadership Program at Rikkyo University, Tokyo, Japan. I love that when he’s not focused on the leadership art of asking questions he plays tennis, cooks Italian food, and travels around Europe. I’ve always been a pretty big fan of questions. 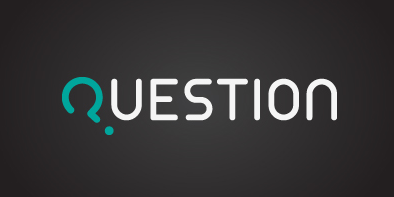 A previous version of myself liked to say things like, “questions are more important than answers.” And with all the conversation these days about the importance of questions, I’ve needed to re-examine how I view, think about, and formulate questions. (6) Do not try to come up with “interesting” or “funny” problems. In fact, humorous problems discussing which makes it hard for the seminar attendants to keep straight faces have nothing but negative effects on the class. Given the array of conditions noted above, you might as well wonder what problem is appropriate; nonetheless, most if not all people who are living serious lives do have lots of problems that are highly appropriate to bring. Such problems involve a number of stakeholders with various, maybe mutually contradictory interests (e.g., a solution may satisfy Person A, but it will upset Person B, etc. ), and therefore, you are struggling to disentangle the problem and find the best solution. If any of you are not sure if the problem you’re going to bring is proper or not, even after you read carefully my instructions and check your problem, you are welcome to ask me. It is important because the performance of the sessions, especially in the earlier phases, is affected by the properness of the problem. I will likely share with you the question I chose in a future post, but, for the moment, really, take a moment and think about yours. When we arrived in class, armed with our questions, only two of us actually had the chance to participate this time around. Going through the process, led by our table’s emerging expert facilitators, Anusha and Promotosh, we spent 50 minutes each to dissect the problem of two classmates. The first – while I love asking questions, it can be hard to only ask questions in response to anything anyone says. Now, the problem presenters (as they were called) could share insight with us based on the questions we asked them, but the rest of us participants were required to use questions to move the discussion along. And you know what? There was an interesting energy around the discussion that I had not quite considered before. Many people like to tell it how it is: to share their knowledge, their perspective, to give advice. And what if we did all that, by communicating this knowledge, perspective, or advice via a question? The second – the first problem presenter lamented her lack of participation. She found it challenging to speak up, to ask questions, to be an active part of conversations, especially in larger groups. And she wanted to explore why. Now, in the second session, I think her question was probably the most important question of the entire 50 minute discussion. While I can’t remember the exact question now, I do remember how I felt when she asked and the conversation shifted. And now that we have the takeaways, where is the action involved? 1 – next time you are in a conversation, what would it be like to reformulate a follow-up comment into a follow-up question? 2 – in a small to larger group setting, by always keeping your questions inside, might you be depriving others the opportunity of hearing a conversation-altering question? In searching images based on “answer a questions with a question”, I didn’t come up with much that struck me on Google images. Further exploring through a “question design” query, I made my way to something designed by Brandon Kauffman here on logogala.com. It looks like Brandon has more of his updated work on his self-addressed site here. This entry was posted in Questions and tagged action, active learning, advice, aplp, art of asking questions, asia pacific leadership program, ask a question, Ask an Expert, business leadership, conversation, east west center, follow-up comment, follow-up question, Higano, Japan, opportunity, problem, question, Questions, simple meets complex, solution. Bookmark the permalink. Very interesting stuff. Questions show genuine interest interest. Who doesn’t love talking to somebody who is genuinely interested in what they are being asked about. To ask a great question you need to be a great listener and have a deep desire to learn and grow. Nobody does this better than MCK I have been told. Thanks, Dad. Supposing this is true, I can only credit the many teachers I’ve had, starting with those at home. NarcInk, glad this post has connected with you. My question to you, what’s the question you’ll look to explore or ask in your next blog post that we might benefit from?